In collaboration with 20th Century Fox and in honor of Aliens Day 2017, Dark Horse is excited to announce its next developments in the beloved Aliens franchise: Aliens: Dead Orbit and Aliens: The Original Comics Series Volume 2. Aliens: Dead Orbit finds Wascylewsk, an engineering officer, trapped in a space station after a horrific accident. Wascylewsk is forced to use all available tools—a timer, a utility kit, and his wits—to survive an attack from the deadliest creature known to man. James Stokoe (Wonton Soup, Orc Stain) writes and illustrates the series. Geof Darrow (The Shaolin Cowboy, The Big Guy and Rusty the Boy Robot) will provide a variant cover for the first issue. 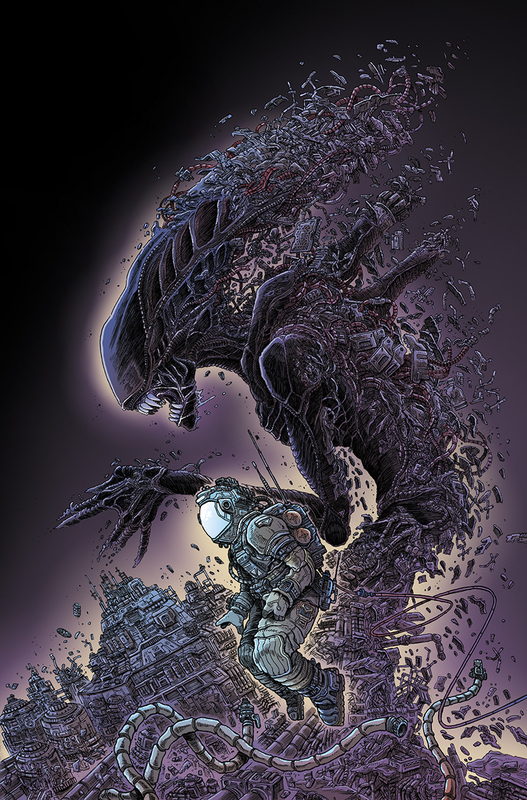 Following the highly successful release of Aliens: The Original Comic Series earlier this year, volume 2 finds Earth overrun by xenomorphs, with no hope of saving it for humanity. This doesn’t mean humans are ready to give up their home without a fight. Ripley hatches a plan to capture a “Queen Mother”—a super queen that rules multiple nests—and bring it back to Earth. Ripley believes the Queen Mother will command the xenomorphs to gather together where she can detonate a nuclear bomb to destroy them. Mark Verheiden (The Mask, Timecop) composed the stories while Den Beauvais (Aliens, Aliens: Countdown) and Sam Kieth (The Sandman, The Maxx) illustrated the interiors. 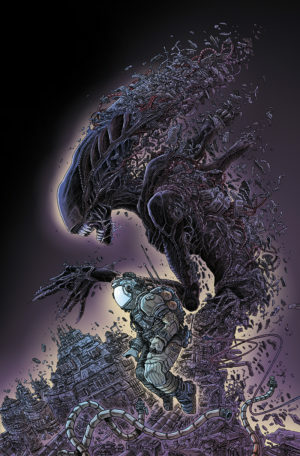 Aliens: The Original Comics Series Volume 2 collects Aliens: Nightmare Asylum #1–#4 and Aliens: Female War #1–#4, and includes cover art for all issues in a special oversized hardcover edition. Aliens: Dead Orbit’s first issue (of four) goes on sale on April 26, 2017. Aliens: The Original Comics Series Volume 2 also goes on sale April 12, 2017.